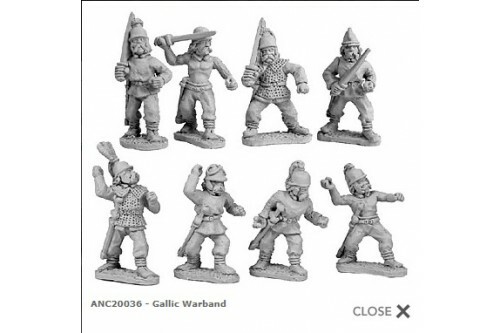 Gallic Warband. 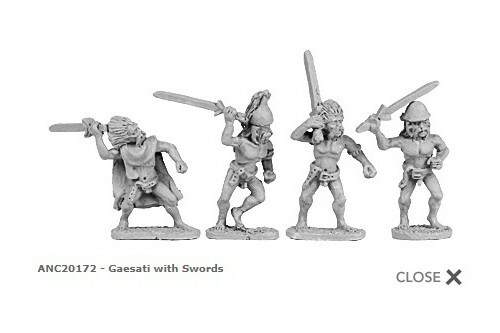 Contents: Random mix of 8 Gauls from 8 different designs (includes a mix of shields). 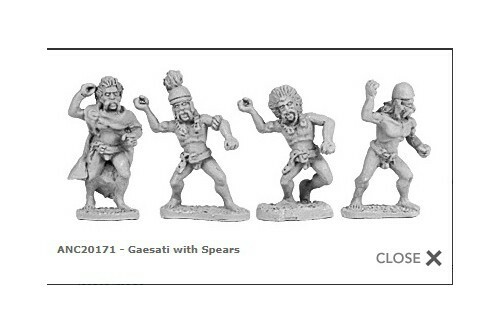 Gaesati with Spears. Contents: Random mix of 8 from 4 different designs. Gaesati with Swords. Contents: Random mix of 8 from 4 different designs. 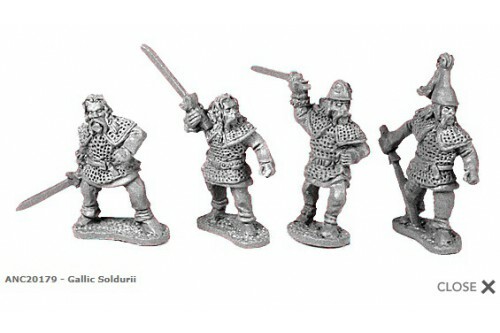 Gallic Soldurii. Contents: Random mix of 8 from 4 different designs. 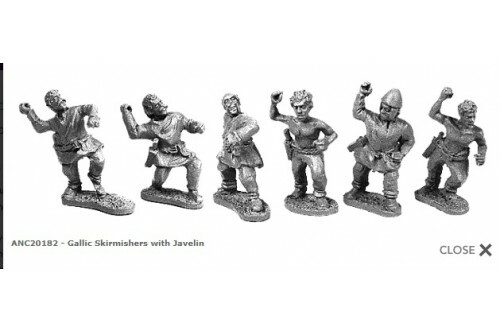 Gallic Skirmishers with Javelin. Contents: Random mix of 8 from 6 different designs. 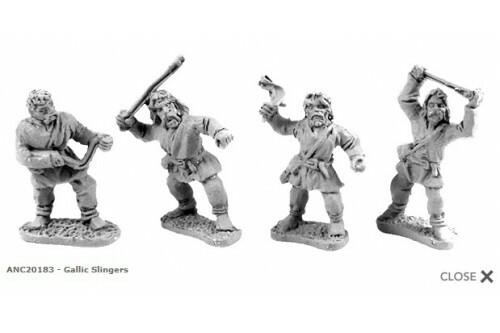 Gallic Slingers. Contents: Random mix of 8 from 4 different designs. 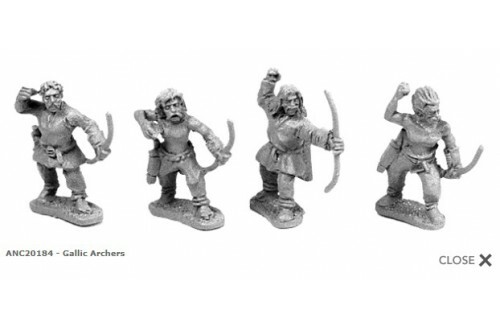 Gallic Archers. Contents: Random mix of 8 from 4 different designs. 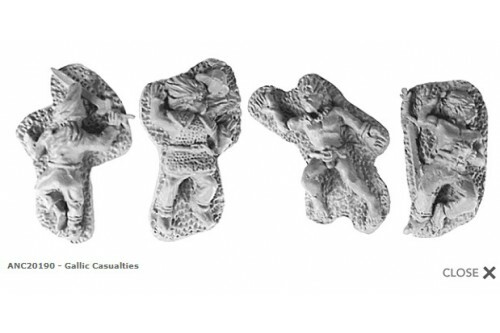 Gallic Casualties. Contents: Random mix of 8 from 4 different designs.